This year, we’ve once again received very encouraging and positive feedback from students, parents and teachers regarding our playground activities. 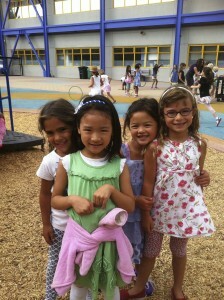 We continue to organize structured games and have moved forward with new activities on our playground. This is all to promote teamwork, to teach students how to follow directions, and to encourage them to take responsibility for their actions. Similar to last year, Student Council representatives helped us to complete a survey, which assists us in brainstorming new ideas, gives us feedback about the games we started last year, and lets us know which games were popular or not. Below is the result of the survey and a brief description of the benefit of these activities. 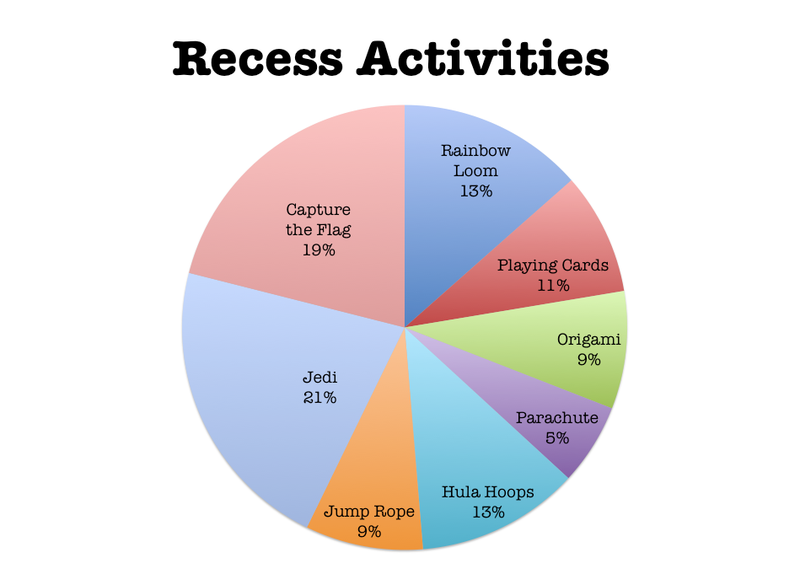 As you can see, with a 21% rating, “Jedi” seems to be popular amongst our elementary students, as is “Capture the Flag” with 19%. Jedi – Named after the Star Wars characters, Jedi is a gentler form of dodge ball that uses soft NERF balls. It is a very energetic, active game, that teaches sportsmanship and teamwork. By mixing students together, Jedi also creates opportunities for making new friends. 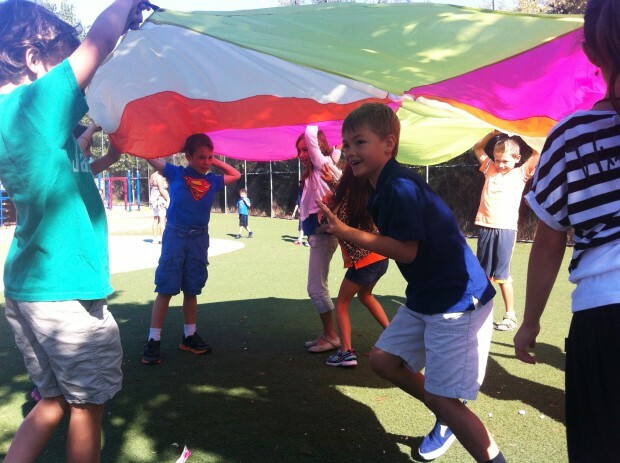 Capture the Flag - A classic, but still very popular game that teaches communication and teamwork. Origami – A fun activity that also helps develop cognitive and motor skills. Origami teaches children to listen carefully to instructions and to be patient. It is also a cooperative activity – kids from different grade levels can participate and help each other. Sometimes the younger kids even teach the older ones! Rainbow Loom Bracelets – Making bracelets first became popular with Upper Elementary School students, but once we introduced it to our younger students it became one of their favorite activities! Bracelet-making helps students learn to follow directions and develops creativity and focus. Many students make bracelets to give to their friends. 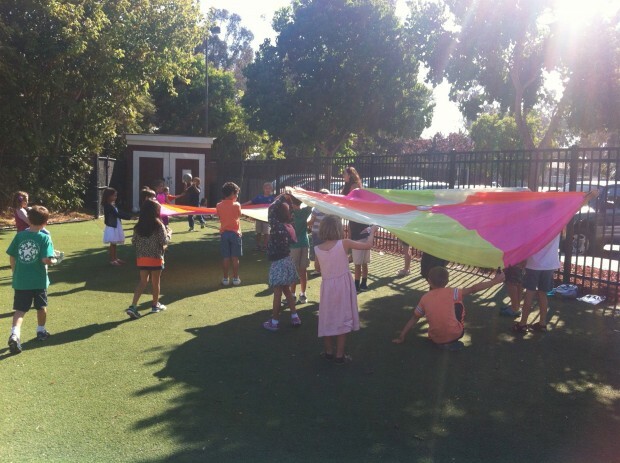 Parachute – Parachute is very popular among our 1st and 2nd graders. It reinforces cooperation, sharing, and taking turns, requires following directions, and is a non-competitive activity. 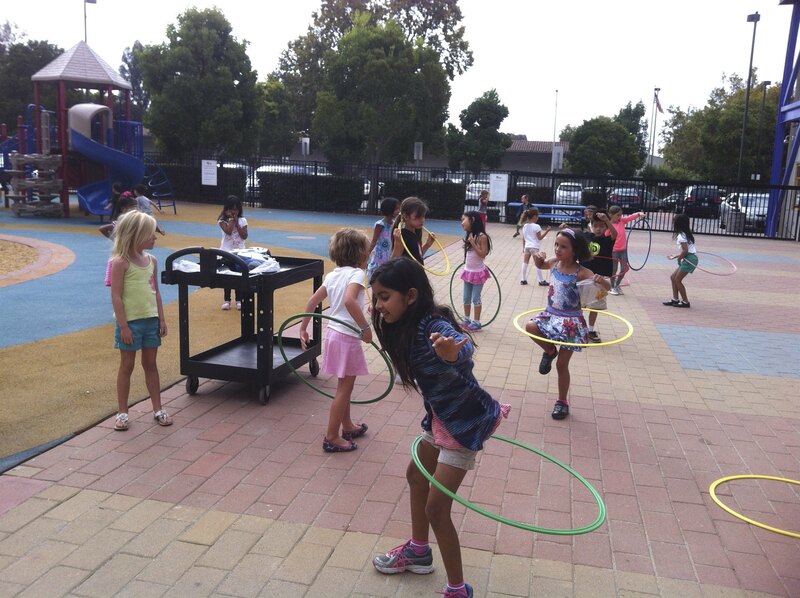 Hula Hoop and Jump Rope – These games help students practice physical, cognitive and social/emotional skills. 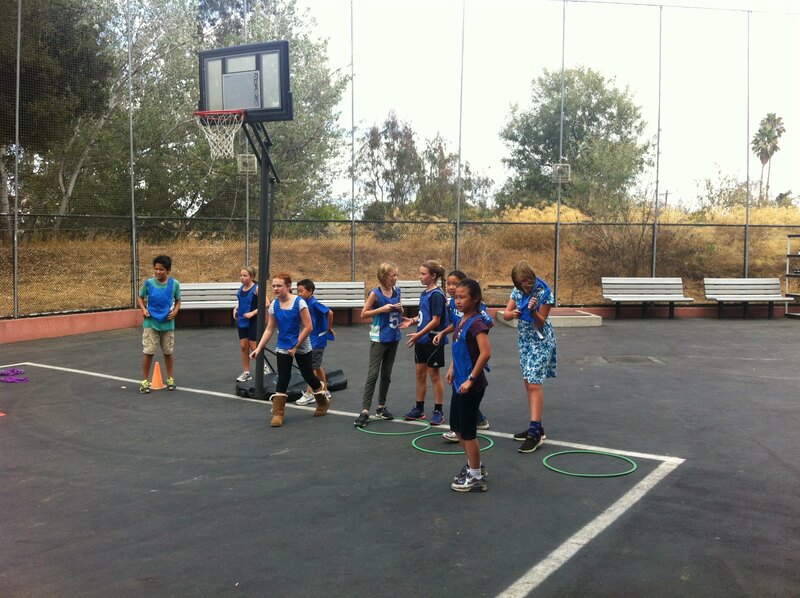 They practice taking turns, and solving conflicts. Children also voted this year for some new table activities such as: sewing/ knitting, gymnastics, jewelry making, ribbon dancing, and cat’s cradle. We are planning to implement these activities in our playground schedule in the next couple of weeks. Sequence Touch – A game to develop memorization skills; the object of the game is to remember and tag all the objects that the leader has listed off as quickly as they can and return to designated areas. Shipwreck – A game to develop listening skills, endurance and awareness, the leader explains that he or she is the captain of the boat and gives commands to perform specific movements or sounds. Band Aid Tag – Children love playing tag; this game teaches them SAFE TAGGING, while every one will be “IT,” and all will have a chance to be freed. Planet – A teamwork game where children practice balance, agility, body and spatial awareness, throwing, catching, running, reflexes and following directions. While structured games provide many benefits, our staff will continue to create a balance between free play and structured games. We strongly believe that free play is also essential; it encourages students to become independent, build their creativity and imagination, and learn to collaborate.